The Moggys Mekong Madness: Saigon Or Hanoi..Which Do You Pre..Pho? 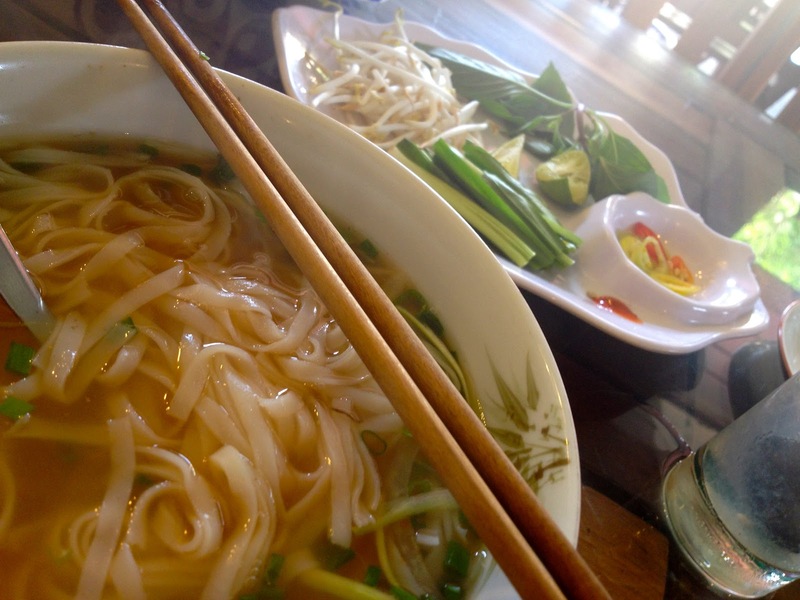 Saigon Or Hanoi..Which Do You Pre..Pho? Get it? See what I did there. I guess you will only find that mildly amusing if you are aware the the correct pronunciation of the Vietnamese noodle dish of Pho is similar sounding to the word "Fur". Even then, maybe not! I had had more bowls of this yummy noodly broth whilst living here than I have had hot dinners (this really is going downhill on the humor side isn't it?) My point is, for the first time the other morning I tried Hanoi Pho. 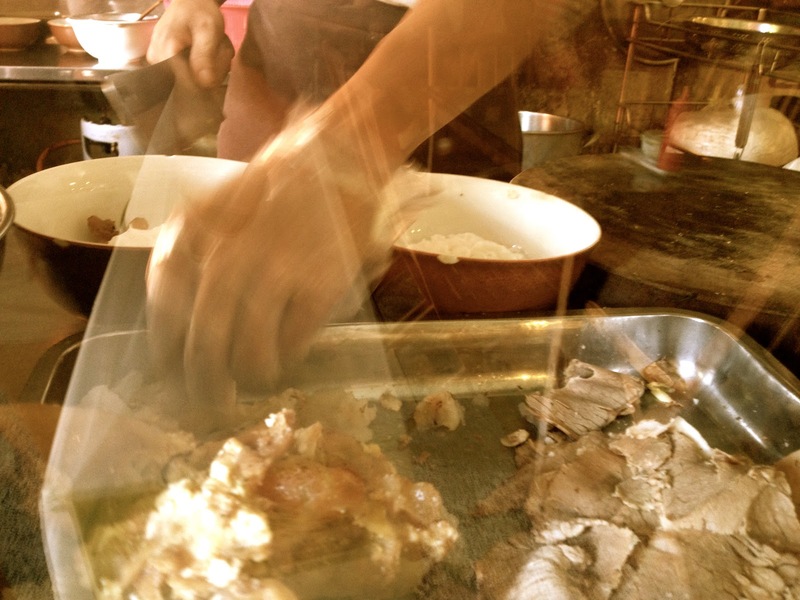 Wikipedia reliably tells me that pho originated in the North. The southern version is very different from the one served up to our northern cousins. I thought I would try it myself. 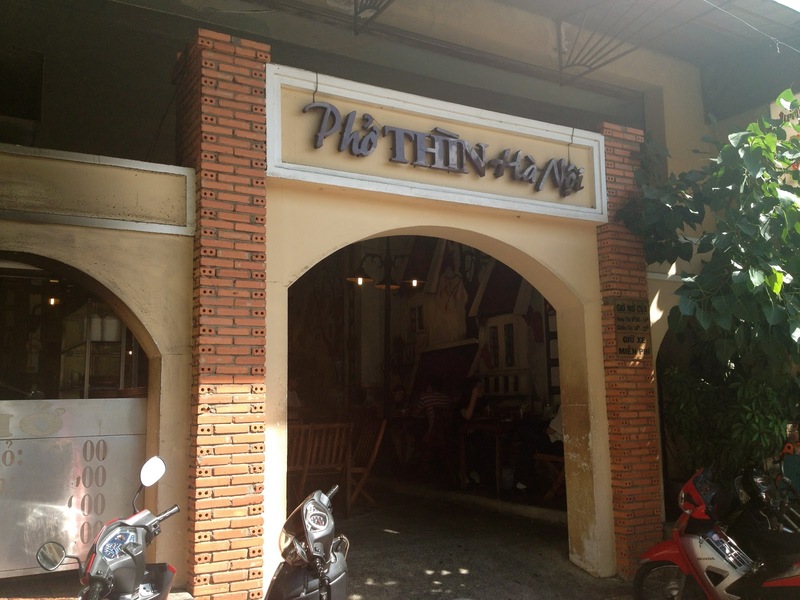 Pho Thin HaNoi is located in district 3 next to my local CoOp Mart supermarket. I go past all the time but have never been in. It's far from fancy but it is usually places like that that serve up the best food around. 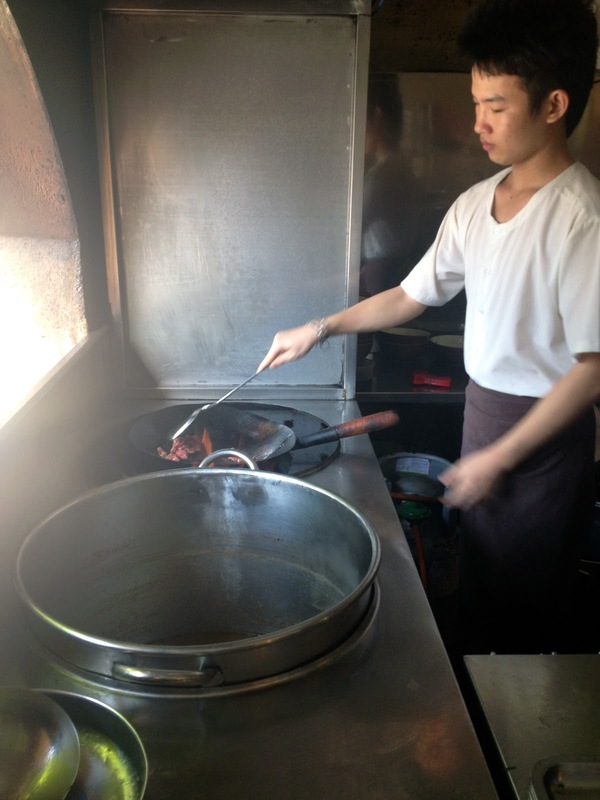 Big steaming vats of pho stock bubble away while the waiters (no real english speakers, bring your Google translate App!) run between tables. It's a huge open restaurant and I would have to say not really the most hygienic I've come across in town but there you go. As long as the cockroach stayed on my foot and not in my soup I was happy. Although I'm not a vegetarian I usually have my pho without meat. I just don't like the often gristly meat they use. I find there is plenty of meaty flavor in the stock as they use meat bones and simmer for hours and hours, flavoring the base. Usually the plate of garnishes is overflowing with greenery but not so for Pho Hanoi. They prefer a more pure taste of the flavors in the base. I added some lime juice, hoisin and chilli to mine. The noodles were noticeably fatter and flatter than Saigon Pho. I would have to say the taste was totally different to what I was used to. It seemed much heartier and richer and I could really taste different spices in there. A large undertone of Star Anise. It almost tasted medicinal. I could argue here that ALL Pho is medicinal. It really is the best cure after a big night! Anyway, did I like it? Yeah, it was ok. It's definitely a personal preference thing. I really like my light, almost clear broth and skinny noodles piled high with all things green. Totally worth a try though. Which do you prefer?